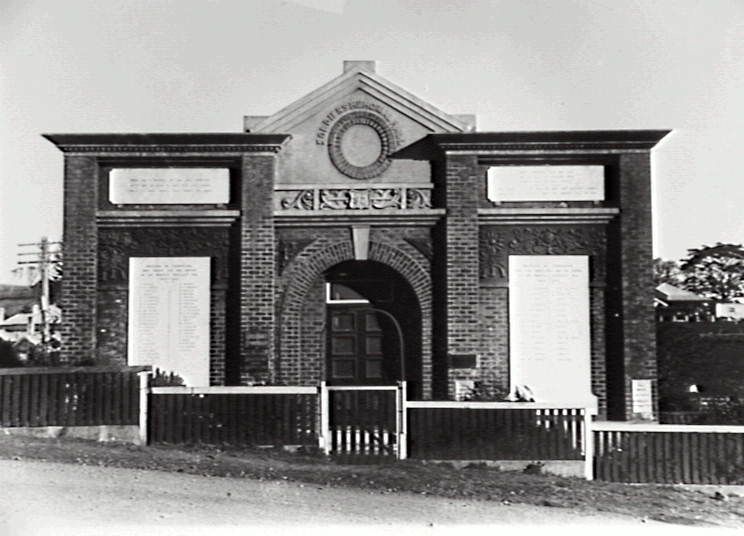 These memorials and Honour Rolls are on the outside of the Gerringong Soldiers Memorial Hall, on the corner of Belinda Street, Gerringong. Theirs was a greatness got from their grandsires, theirs that so often in strife with their enemies, struck for their country, their hearts, and homes. Sleep, comrades, sleep and rest on the feild of grounded arms, where foes no more molest. Your silent tents of green we deck with fragrant flowers, yours has the suffering been, the memory shall be ours. The Gerringong Soldiers Memorial Hall was bult in 1921.